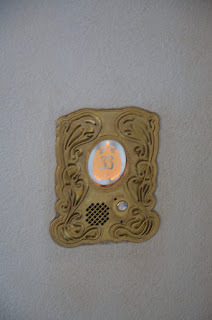 If you're a big Disney fan, you're probably aware of Club 33. For those who don't know, Club 33 is a private club in New Orleans Square in Disneyland. 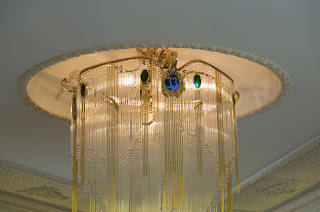 It is not open to the public, which makes it #1 on any Disney fan's bucket list. Membership fees are allegedly $12,000 per year after a one-time $25,000 membership fee, and the waiting list to become a member is supposedly 2-3 years long. On top of that, you have to pay for the meals. Needless to say, Club 33 membership is a bit beyond the deRosier family budget. 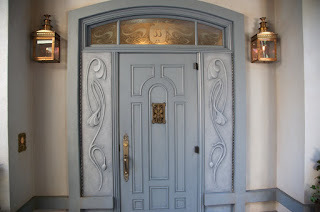 Steve and I have been wanting to go to Club 33 for years. I'm not sure when I first learned that it exists, but the first time I talked with someone who had actually been was when my sister and her husband got to eat there in 2005. They went with his cousin, Kate Abbott, and her husband. Kate wrote an article about their experience for Magically Speaking that is an excellent summary of their experience. 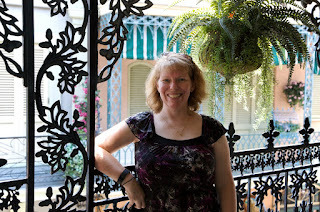 (By the way, Kate has quite a few other Disney-related articles I'd encourage you to read. 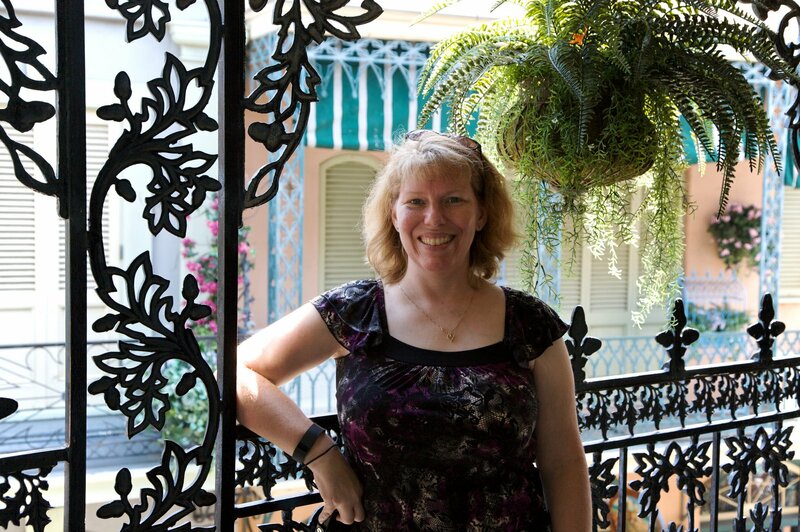 Kate is also the author of Disneylanders, a well-acclaimed coming-of-age story.) Anyway, after hearing about their visit, Steve and I were even more interested in visiting someday. To be honest, I didn't think it would ever happen. Yet 10 years later, it did. And best of all, I was able to surprise Steve with the news. 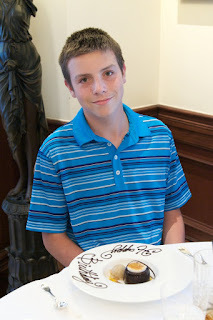 A few weeks before our scheduled family vacation to Disneyland to celebrate my nephew Timothy's 15th birthday, my sister asked if Steve and I would like to celebrate Timothy's birthday at Club 33. Would we?! Are you kidding me?! Yes, yes, a thousand times, yes!! The only catch would be that the reservation wouldn't include Trevor or Timothy's sister, Allison (age 2). 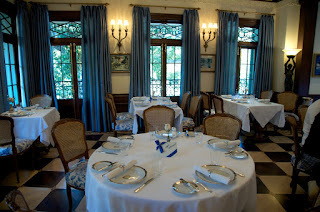 But a family member was willing to skip Club 33 and stay with them in the park so we could all enjoy the meal. I felt bad for Trevor, since he's both a Disney fan and a foodie, but I knew that he'd have a great time at Disneyland with Allison. 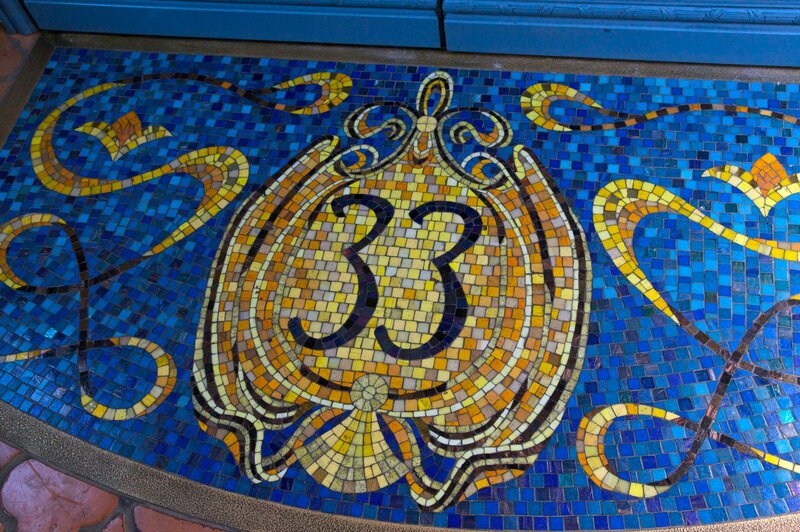 I should state that my sister does not have Club 33 membership. 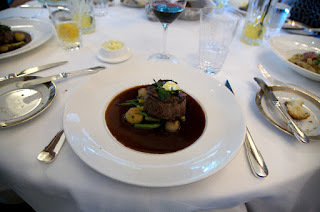 A friend of a friend who does have membership heard that they were celebrating Timothy's birthday at Disneyland and offered to make a Club 33 reservation. Thank you SO much, Anonymous Stranger! It was a birthday celebration we'll never forget. Club 33 was recently renovated. This is the front door. We were absolutely giddy when we arrived. At your appointed time, you ring the bell, give your name, and wait to be escorted in. 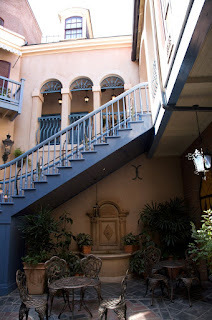 We were led to a beautiful courtyard to wait for our table to be ready. It was a hot day and the ice-cold apple cider waiting for us really hit the spot. After a 3-minute wait, we were escorted upstairs. 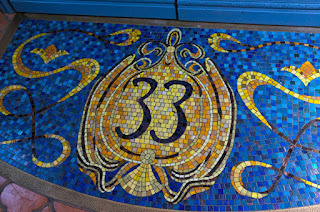 This gorgeous mosaic greeted us at the entrance. ... and the clock, complete with vulture. The dining room was gorgeous. I wonder how many people try to sneak out a plate. Probably not too many, as those who have memberships wouldn't want them revoked, and those who are eternally-grateful guests of members wouldn't dare risk destroying that relationship! Before eating, we strolled along the balcony outside. And, of course, we took a zillion photos. Here's that same balcony from street level. Before I get into our meal, a word about the dress code. Our reservation was for lunch, intentionally chosen for the more relaxed dress code. We were staying off-property and it was very hot, so as much as we wanted to dress up and go all out, it simply wasn't practical. What we wore into the park at 9:00 AM (when it was already 85 degrees) would be what we wore to Club 33 and until we returned to the hotel at 9:00 PM. I wore a nice blouse, capris and comfortable sandals, which was similar to what all of the women we saw there were wearing. Steve and the rest of the men wore polo shirts. Here's the menu. I did a 3-course meal (salad, entree and dessert) and had the excellent Orange Lemonade to drink. Steve did the 4-course meal (appetizer, soup, entree and dessert) and had the wine paired with each dish. My salad: Trio of Beet Carpaccio, Black Walnuts, Smokey Blue Cheese, Orange Tarragon Marmalade. My entree: Parmesan Gnocchi, Summer Vegetables, Summer Mushrooms, Fennel Essence. My dessert: Mississippi Molten Chocolate Cake, Vanilla Bean Marshmallows, Passion Fruit Sauce and Vanilla Ice Cream (substituted for the Cafe au Lait ice cream, as I don't like coffee). 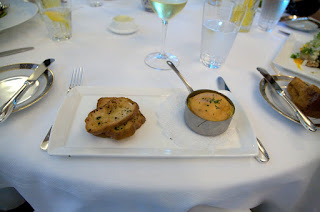 Steve's appetizer: Warm Blue Crab and Artichoke Gratin with Lemon Chervil Glacage. 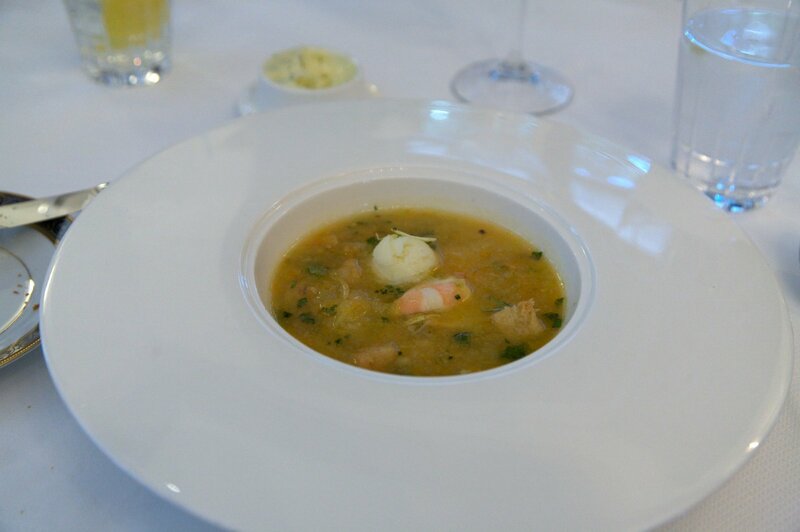 Steve's soup: Chilled Summer Tomato Soup, Red Shrimp, Croutons and Olive Oil Sorbet. Steve's entree: Petite Filet Mignon, Tender Haricots Verts, Cabernet Jus. Steve's dessert: Warm Monkey Bread with Old-Fashioned Vanilla Ice Cream and Candied Pecan Praline. He also received a very nice card. The food was absolutely outstanding. Every single thing was literally perfect. 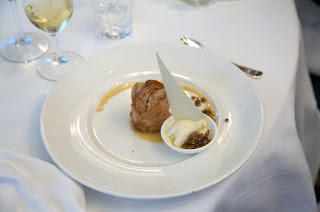 I've eaten a lot of wonderful meals in my life and this was unbeaten. (Tied, maybe. Bouchon on my 40th birthday was another perfect meal.) It was worth every penny. ... for the obligatory trip to see the gorgeous bathrooms. 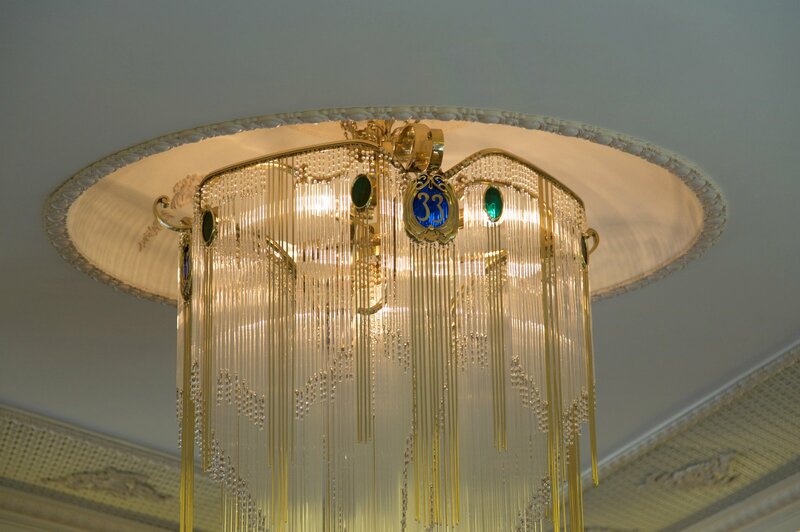 The women's room was stunning, with beautiful details everywhere you looked. The men reported that their bathroom was nice, but it wasn't until we compared photos that we saw the huge difference between the men's and women's rooms! It was pretty funny. Here's Timothy with his cell phone with a picture of the men's room and Kari's cell phone with a picture of the women's room in the other. You can't see the phone images, but the look on his face is priceless. He's amused, and indignant, all at the same time. What an amazing day! The food, the atmosphere, the service, and the company... everything was fantastic. It's hard to express how great it is to accomplish the seemingly-impossible. Eating at Club 33 was truly a dream come true. 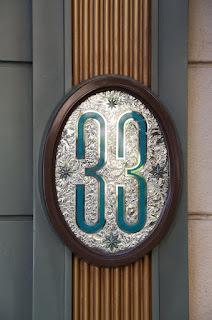 I have never heard of Club 33!! Wow to the prices and the wait list to get in! LOVING the photos ... it looks GORGEOUS!!!!!!!!!!!!!!!!!!!! Never heard of it...but wow $12,000 a year membership?! Too rich for my blood! How wonderful for you to be able to experience w/out the price tag! Which is just as gorgeous and delicious! Too bad Trevor had to miss out, but at least he still got to hang out at Disneyland! 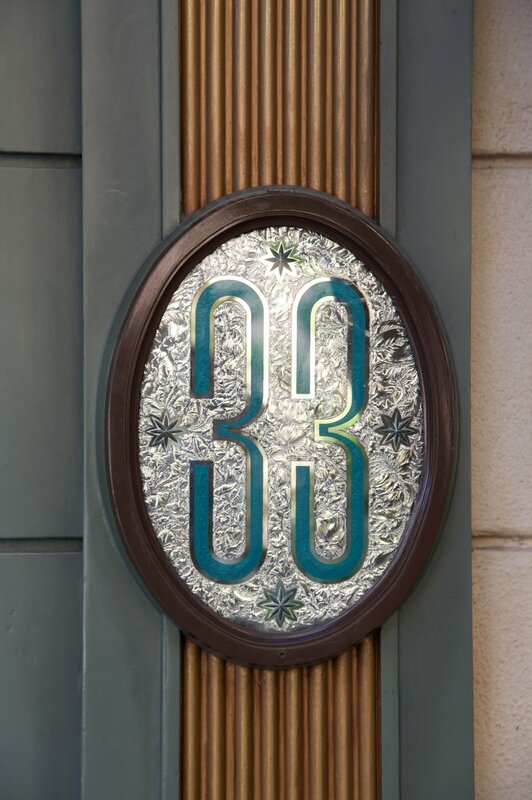 I've never heard of Club 33, but now I want to go! Sounds amazing. I loved all your photos. They reminded me of the swanky restaurants in New Orleans. The food looked and sounded so good. Loved the comparison pic of the balcony from above and below. What a great trip! Wow. Sounds like an amazing experience! You got some great photos! I've never heard of it either, but it looks very awesome! The food sounds completely divine.